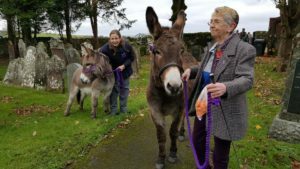 Hamish and Dougal were asked to attend the Bewcastle service, joining over 100 people. They were suitably dressed in purple and behaved impeccably. Definitely a wonderful photo of the month!